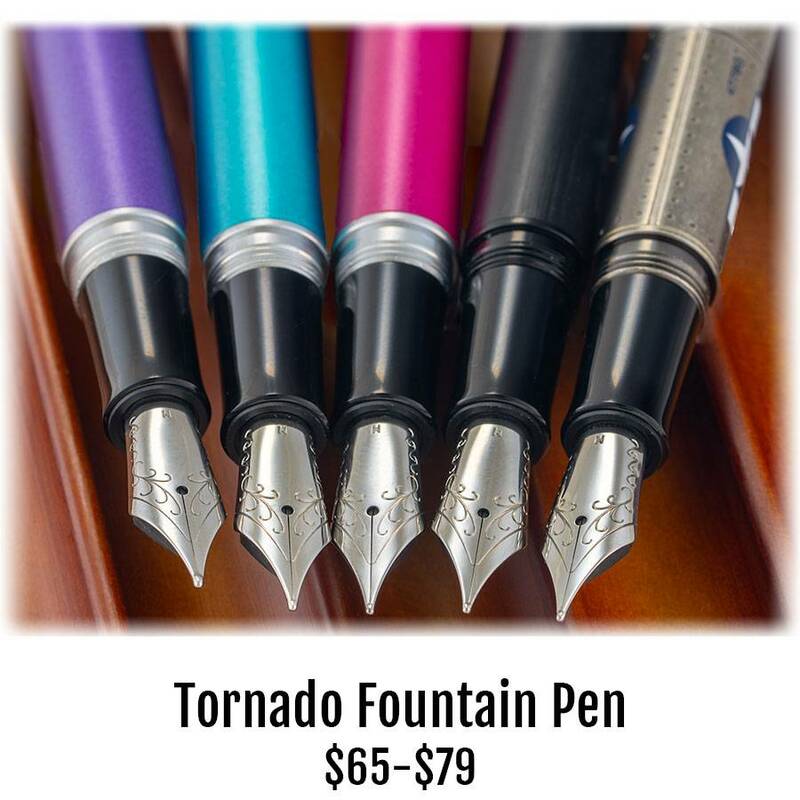 Retro 51 has been the leader for decades in high-quality low-priced twist-top rollerball pens. Occasionally, they have dabbled in the fountain pen arena. Now, they’ve jumped in with both feet. They have upgraded nibs and brought out a sensational array of choices. From the ‘look at me’ frosted metallics to the stealthy all black. In between are drop dead gorgeous designs on the P51 and Lincoln. These are etched onto the surface and filled with bright colors. No detail is too small. Retro fountain pens come with two cartridges installed in the barrel. The steel nib choices are fine and medium. Add an ink converter for using with your bottle ink. And, add some ink too!